As it’s well-known to all, medical industry has very strict regulations in production. It is connected with people’s health and safety, thus quality guarantee is essentially important during production. As a result, the inspection process becomes an indispensable part of product quality. There are different kinds of inspection methods, manual and machinery. With the development of technology, machine vision inspection system have gradually recognized by medical industry. It has been widely used in medical pharmaceuticals to improve production efficiency, enhance quality and ensure consumer safety. In the pharmaceutical industry, the filling of medicines is usually carried out at high speed, and the stoppers must be accurately covered after the filling process. The stopper must put onto the correct position of the bottleneck to ensure a qualified seal. This step is very important and can directly affect the quality of the vial and the safety of the drug. 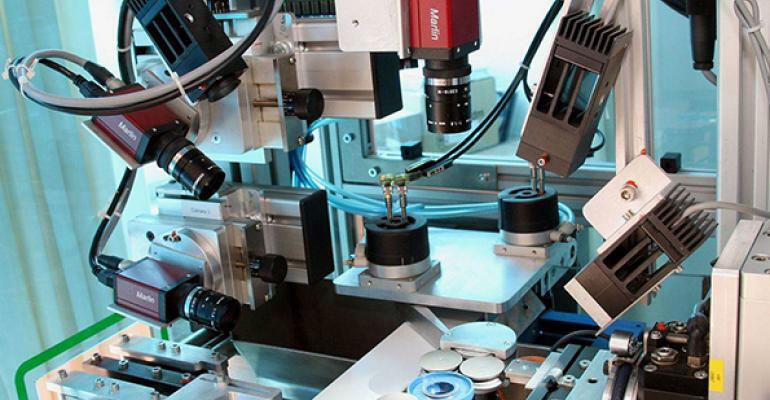 Machine vision can be used to detect whether the stopper position is correct, whether it is tight, and whether there is a defect. In the pharmaceutical industry, drugs are finally required to be packed in boxes with instructions for the drug. Through the machine vision system, it is possible to detect if the instructions in the package are missing or not. Due to the strict regulations of the pharmaceutical industry, the quality of pharmaceutical packaging is becoming more and more standard. When the medicine particles are packed into the blister, it is necessary to check whether the medicine particles in the blister are intact and meet the requirements. Through machine vision, you can quickly detect the integrity of the drug inside, whether there are defects such as damage. In addition to the above cases, there are still many applications of machine vision inspection technology in the pharmaceutical industry, such as the detection of unqualified capsule size, the filling liquid level detection of liquid preparations, the detection of impurities and cap quality in bottles, the labeling of pharmaceutical products, etc. Applying machine vision technology can solve the problem of low efficiency and high cost of manual detection, and effectively guarantee product quality to a safer extend, it also has a positive effect on improving corporate reputation.